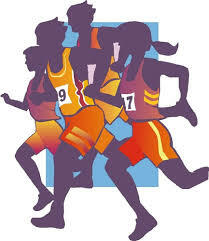 SMS Falcon cross country runners participated in the Silver Falls Oktoberfest Invite on Wednesday, Sept. 13th. There were HUNDREDS of middle school and high school students participating, many from as far away as Vancouver, WA and Bend, OR. We have 20 students on our Middle School team, and our Girls took First Place overall, with Hannah Bashor taking the individual First Place title! The other girls on our winning team are Lauren Ortega, Addie Bashor, Aurora McElfresh and Kyra Bashor. The Boys took Second Place overall, and their team has Falcons Matthew Heinsch and Oscar Marks.